Do you tend to gain weight easily especially in your belly? Do you have difficulty focusing or experience foggy brain? Do you wish you had clearer skin? Do you experience pain, muscle achiness, or stiffness in your joints? Do you feel addicted to foods that you know aren’t good for you... and yet you can’t stop? Do you feel anxious, upset, nervous, or downright cranky? 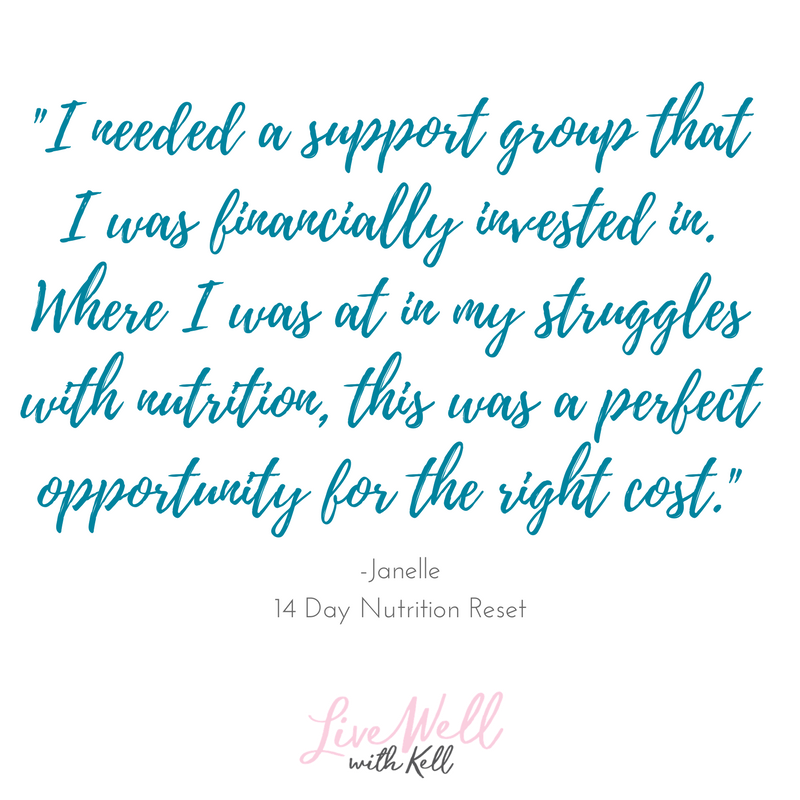 How will the Energized Nutrition Reset change my life? Sugar cravings and the desire to reach for junk food will be a thing of the past. Stop letting those things sneak back into your life for good. You'll learn how to eat in a way that energizes your body while eating whole foods-- no supplements here. We eat all real, whole food that you chew, digest and enjoy! 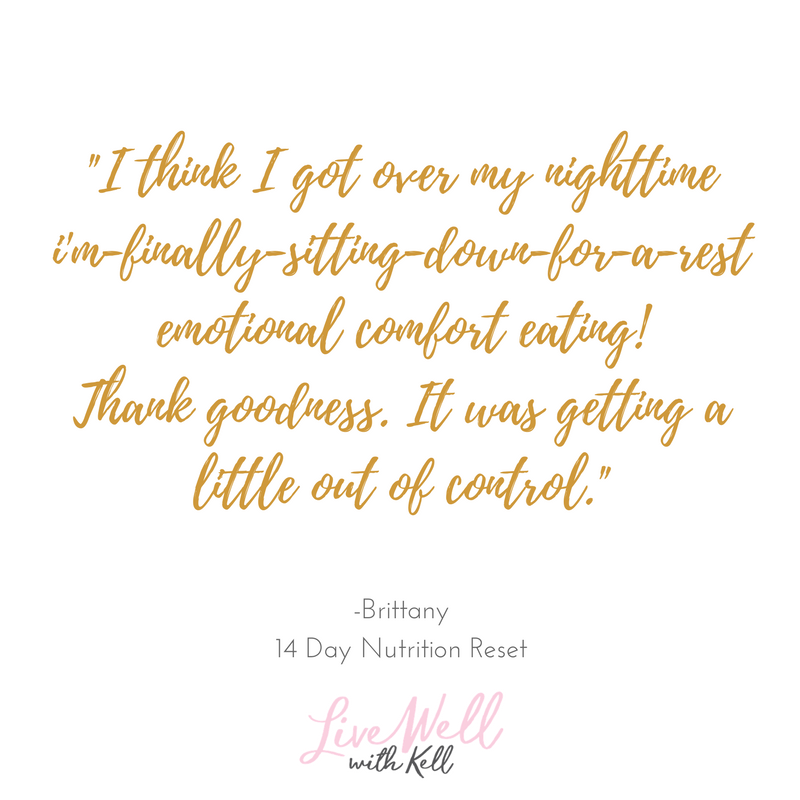 Eating foods that truly feed your body in a way that gives you energy and nutrients will be your new norm. Glowing skin and feeling good from the inside out. 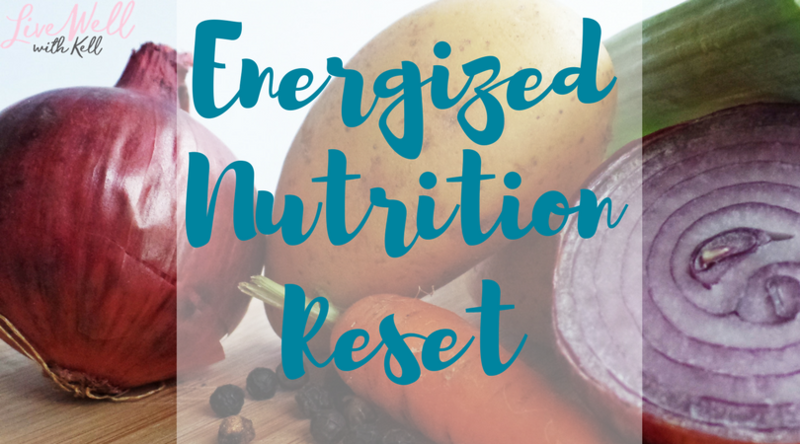 What do I get with the Energized Nutrition Reset? Accountability from other people doing the reset with you! "I'm ready for a change, but I don't know how to get there...."
I get dozens of messages each week from women just like you. They're ready for a change, but sometimes it can feel so daunting, challenging and intimidating. That's why I felt obligated to create this reset and share it with you. Getting "back on track" with your nutrition can be EASY and FUN! You can create lasting healthy habit change without making huge sacrifices in your life! Whether we know it or not, we are exposed to toxins in our environment and in our food. 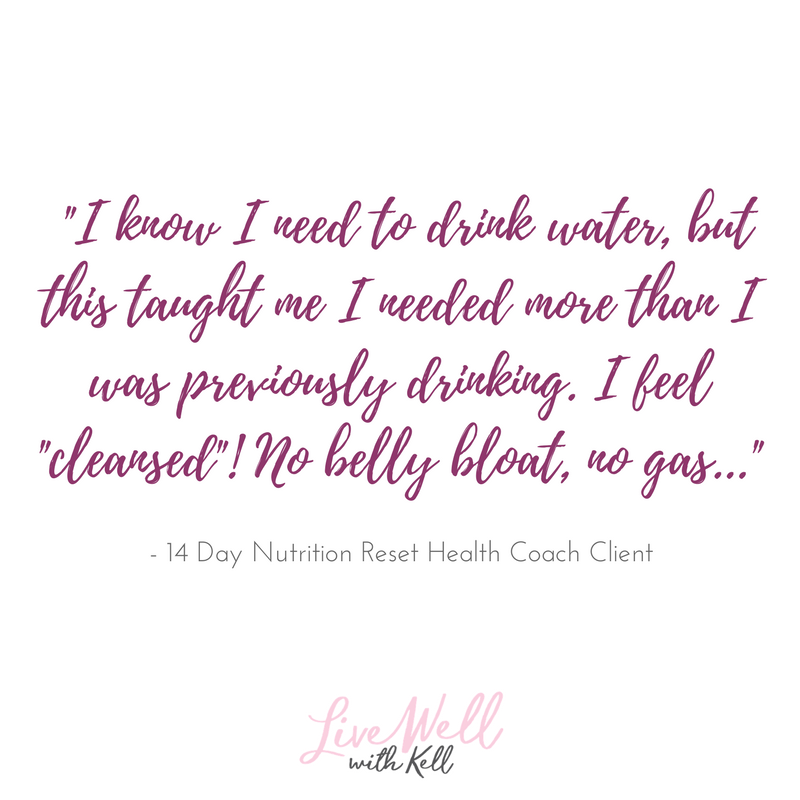 Through this reset you'll learn as a group how to eliminate those toxins in your diet and may be surprised to find just how good and energized you will feel... even if you feel like your nutrition is already pretty healthy and on-point. How will I benefit from the Energized Nutrition Reset? Boost your metabolism! You'll begin to switch into a fat burning in a way that you haven't experienced before. Let your body rest! Digesting processed foods is so hard on your body-- it's not how it was meant to eat. Give your body a rest and give it an opportunity to repair itself from damage that comes from eating processed, sugar-loaded foods. Shift your habits in ways that will make success inevitable. 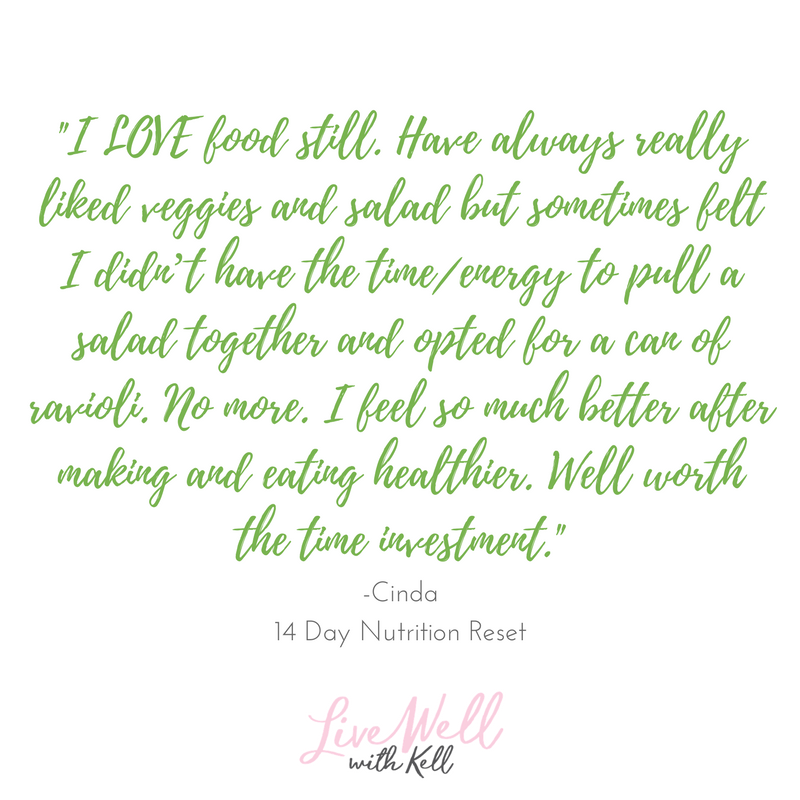 A former client went from just guessing what she was going to eat for lunch everyday to packing a healthy meal ahead of time. The habit changes you create may not only impact your health, but even your wallet too. Figure our what truly feeling GOOD feels like. 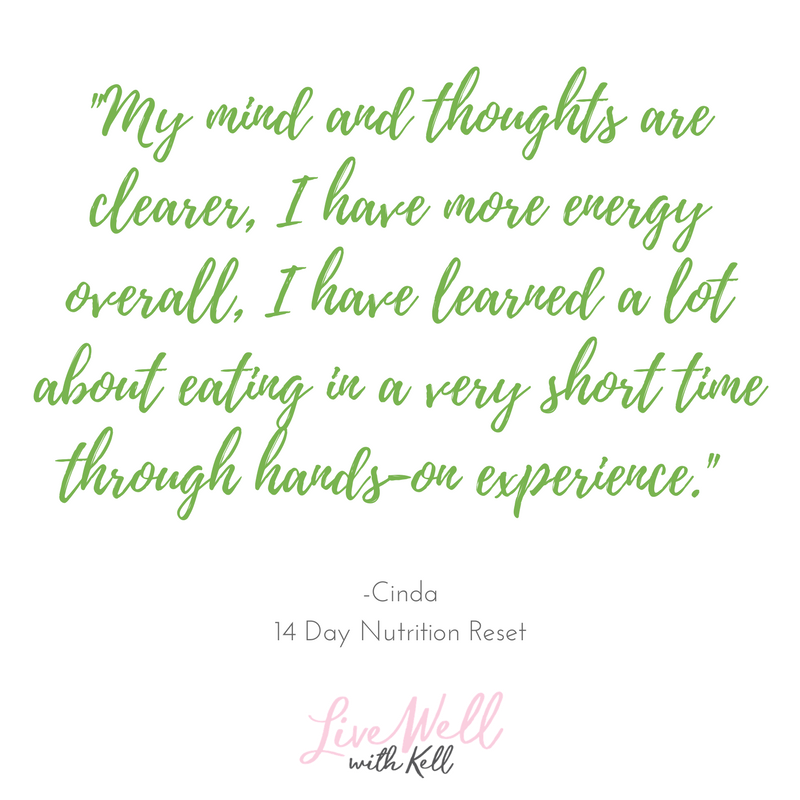 You'll be more energized, sleep better, feel more productive, have better focus and feel more joy-- just by making some simple changes with your nutrition. Invest $87 to feel amazing in your body today! ​What are you waiting for? Learn what ENERGIZED, REFRESHED and GOOD feels like for you. 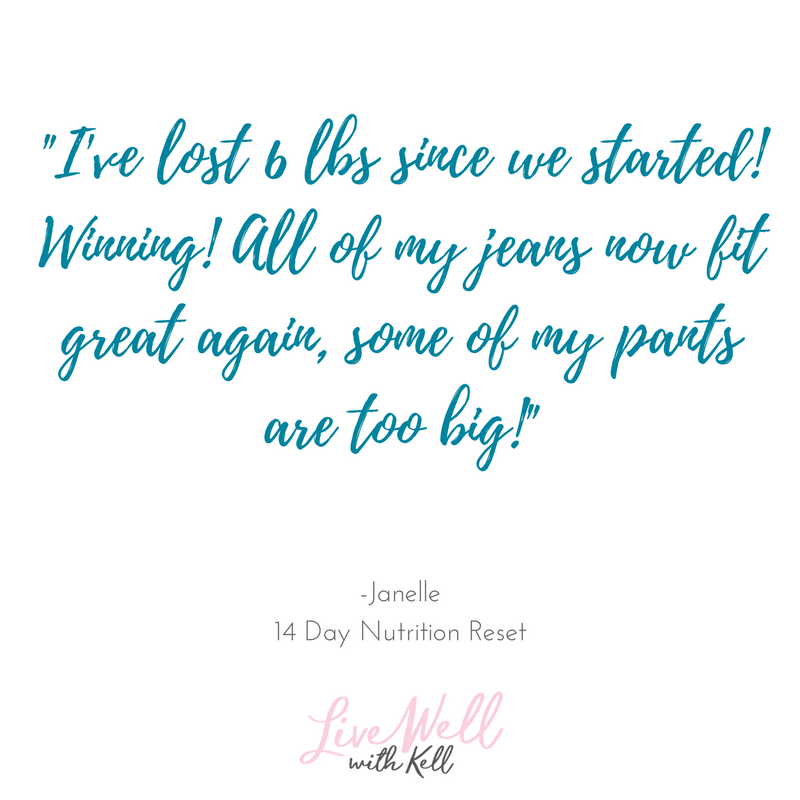 You'll have support, accountability and a system to not only boost your metabolism and fat burning, but to also set up lasting healthy habit change!